Free from the constraints of water scarcity and the harsh climate, major cities have been developing in high-risk arid environments across the world during the last century, cities such as Phoenix (US), Antofagasta (Chile), and Kuwait City (Kuwait). Over two years ago, my colleagues and I at Arup began a research project focused on the topic of planning and designing cities in arid environments. 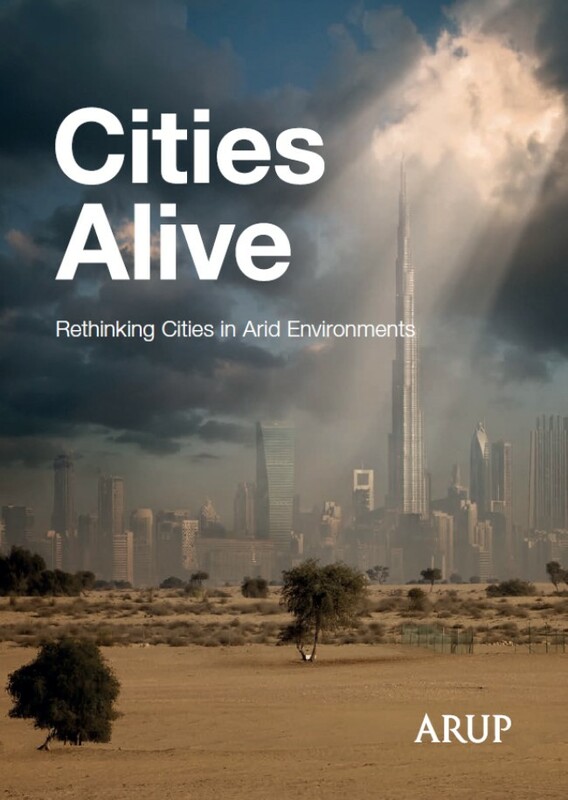 We were initially interested in exploring the most relevant practices and innovations for cities in the Middle East, but soon realised that many other cities and regions around the world share similar climatic conditions and challenges. As a matter of fact, approximately one-third of our planet’s land area can be classified as arid, receiving less than 800 ml (~ 50 cubic feet) of rain per year. Arid environments have only recently been able to support large populations, thanks to inventions such as air conditioning, desalination plants, and the automobile. These technologies helped create habitable conditions in the hostile environment by supplying water through alternative methods (desalination, dams) and providing comfort, at least indoors (air conditioning). Free from the constraints of water scarcity and the harsh climate, major cities started developing in arid environments across the world during the last century, cities such as Phoenix (US), Antofagasta (Chile), and Kuwait City (Kuwait). 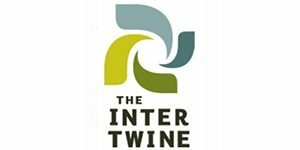 Not only was their growth reliant on energy-intensive technologies and oblivious to local climate conditions, it was based on an imported, land-intensive development model which encouraged sprawl and further reduced the sustainability of these cities from an environmental and social perspective. In the 21stcentury, the above development trajectory poses two significant and related challenges for arid cities. 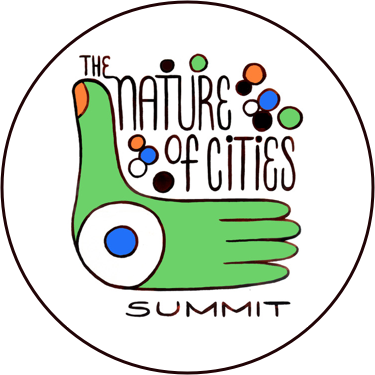 First, how can these cities become more sustainable, weaning themselves off the energy and land intensive development models which were central to their creation? Second, how can these cities become more resilient and adapt to global climate change, which is likely to render their climate even less hospitable? By reaching out to our professional network of colleagues and partners from across the world, my colleagues and I were able to identify key learnings and best practices which can help address these questions for existing and developing arid cities. I would like to highlight three areas identified in our work which I believe are particularly important especially for cities in the Arabian Gulf: sustainable urban drainage, the provision of public spaces, and walkability. 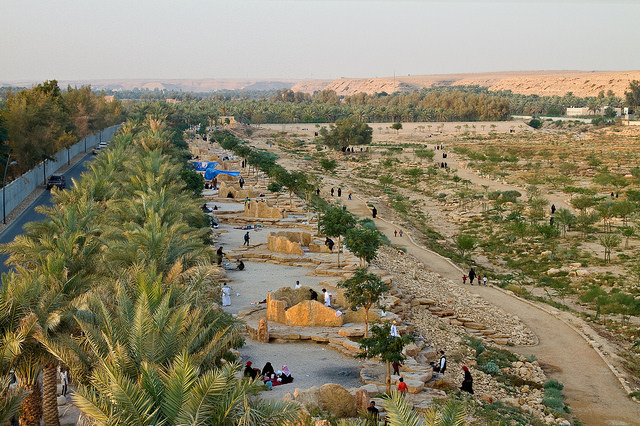 Storm water drainage is often an after-thought when planning cities in the Arabian Gulf. With sunny weather for most months of the year, it can be easy to forget that rain events do occur, and they are often intense. Rain water capture is typically not financially viable due to the limited frequency of the rain. This generally leaves the “hard engineering” approach of designing a drainage network to channel storm water as quickly and efficiently as possible to the sea, complying with planning requirements which typically only address up to 1-in-5-year storms. There is usually no consideration for sustainable urban drainage and filtration systems (e.g. bioswales, porous pavements), nor for designing public spaces to function as part of the storm water management network during intense rain events. Storm water infrastructure is thus capital-intensive and provides no broader amenity or value to the city. Moreover, no scenario planning is undertaken to ensure that vital city assets (e.g. schools, clinics, business districts) remain functional and accessible during larger storm events. Finally, and perhaps most critically, despite infrastructure assets being planned and designed for the next 50 – 100 years, I have yet to see an example where the changing climate conditions (e.g. changing rainfall frequency) are sufficiently taken into consideration to ensure the adaptability of the system for the future. Storm water management is recognised as vital only in the immediate aftermath of a storm, when cities seize to function after a few minutes of intense rain. At that point, quick-fix, reactive measures are sometimes announced (e.g. increasing number of drainage vehicles, cleaning clogged drains). However, the momentum is not sustained long enough to allow for meaningful and proactive change in planning and design requirements and practices. Well-used public space in Dubai (UAE). Partially shaded but still water-intensive. A paradigm shift is needed whereby the complexity and importance of storm water management in arid cities is recognised, understood, and addressed. There are lessons to be learnt from other cities which are planning their storm water infrastructure and sea defenses more thoughtfully, incorporating green and blue infrastructure and utilising the investment to provide more people-focused amenities. The same engineering and design skills need to be employed in arid cities, and this will also require the protection and rehabilitation of local natural systems (e.g. valleys, wetlands) which have and can play a role in resilient storm water management. Linked to the above topic is the wider discussion around the provision of quality public spaces. This area has been receiving growing interest in the cities of the Arabian Gulf, with critiques around the quality, accessibility and equity of existing public spaces. Interestingly, there have also been valid critiques around the pre-conceptions of public space in the Gulf—why can’t malls be considered a valuable public space if they serve a similar social function as a park? As cities in the Arabian Gulf (Riyadh, Doha, Dubai) mature, we are seeing the interest in “iconic architecture” develop to recognise the importance of the public realm in the functioning of the city, the wellbeing of its residents, the value of its assets and ultimately the ability of a city to attract future investors and residents. To provide the quantity and diversity of public space needed, arid cities will need to bravely and carefully consider optimising the design and use of outdoor spaces. 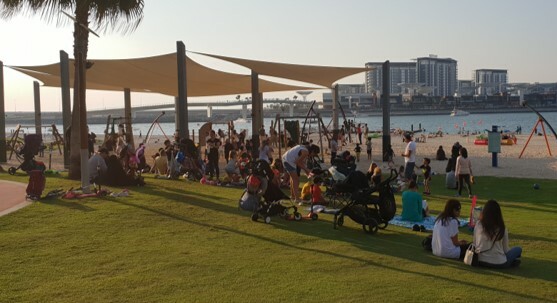 It is encouraging that this is in line with recent trends, with outdoor spaces being developed successfully in Riyadh, and to a more commercial extent in Dubai (although the question of their ‘public’ nature remains in Dubai). Designing spaces to be comfortable for considerable parts of the year despite the often hot, dry, and dusty weather will be key. Most of the answer lies in designing spaces to adapt to, and not overpower, the climate. Shade must be provided in a water-efficient and cost-efficient way, which means employing clever passive design techniques wherever possible. A series of small parks and plazas may be more suited to arid climates than large open spaces, as the former are generally easier to shade and more accessible by foot, two critical considerations in arid climates. Providing accessible, comfortable and functional public spaces which encourage social interaction will be key to maintaining the attractiveness and vibrancy of arid cities in the long term. Diseases such as obesity and diabetics are prevalent in the Arabian Gulf due to the sedentary lifestyle promoted by the planning model catering for life in air-conditioned spaces and vehicles. Re-integrating walking into the lives of arid city residents will require a fundamental rethink of land use planning practices, just like in most other cities. The added dimension is planning to allow for comfortable walking conditions for most of the year, which takes us back to good passive design practices. It is simply too dangerous to accept the idea that “it is too hot to walk” in arid cities. In addition to the health risks associated with the lack of physical activity, relying on vehicles jeopardizes the resilience of these cities as it reduces the mobility options available. Arid cities have become a reality in the 20thcentury due to the technological innovations allowing them to overcome the challenges of their harsh environment. They now face the challenge of adapting to the 21stcentury, with its limitations on resource use and the more extreme and less certain climate. To have a chance at addressing these challenges, planners and designers must learn from best practices in other arid cities and environments and develop locally-responsive urban models and solutions. 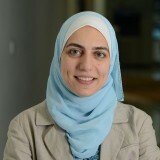 Huda is atmospheric scientist turned urban sustainability consultant with Arup. Her experience lies in advising large-scale developments on incorporating sustainability considerations throughout the planning, design and construction. Thank you Dr. Issam – happy to discuss anytime. It is a vital essay. Look forward to meeting you and exchange more thoughts on the urbanism.